The Pompano has deep, compressed body, silver sides, has a unique bright yellow chin, and a deeply forked tail. 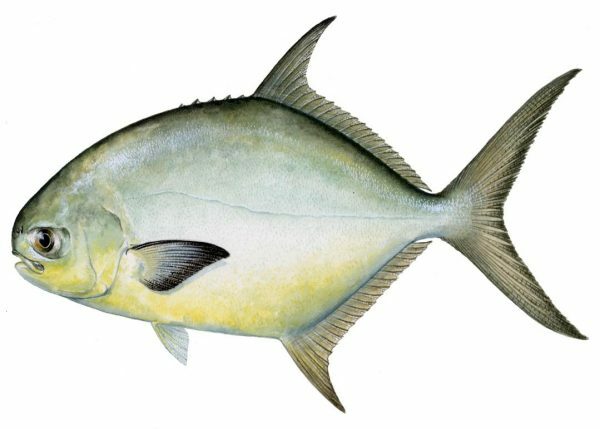 This fish is a member of the jack family has been said to resemble the permit, a popular saltwater target species. What are other names for a Pompano? This fish is referred to as a Florida Pompano, Cobblerfish, among others. 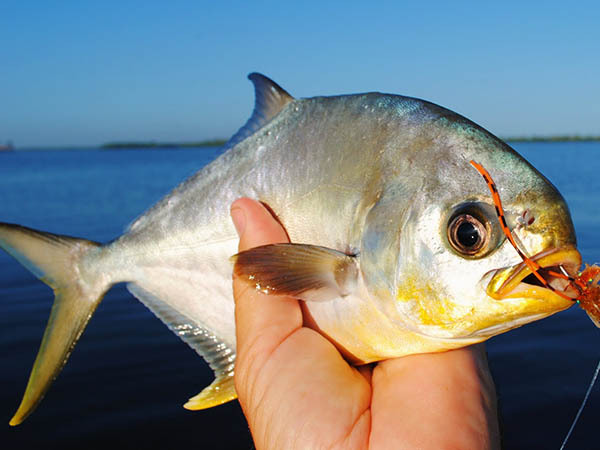 The average Pompano is 2-3 lbs, but the state record in Texas is over 6 lbs and was caught in the Lower Laguna Madre. Pompano are frequently found throughout the Gulf of Mexico, but their range extends from Massachusetts to southern Brazil. These fish prefer mid to higher salinities and are most frequently sought by anglers on the gulf beaches. However, they can be found in other habitats such as offshore reefs, the surf side of jetties, oil rigs, and even in estuaries. Pompano are common in the surf where they are feeding on shrimp, beach fleas, small fish, and other crustaceans/mollusks. 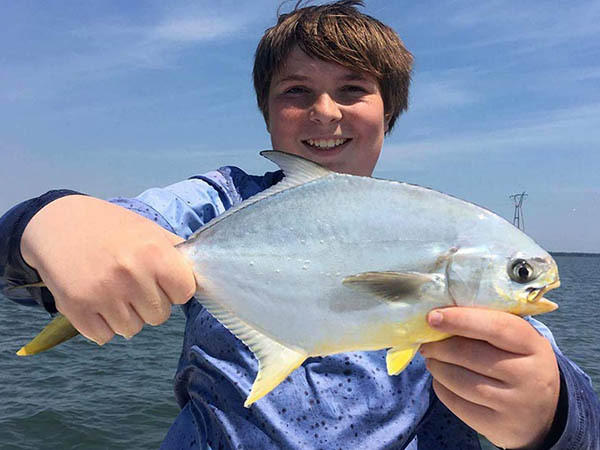 Are Pompano targeted by anglers? 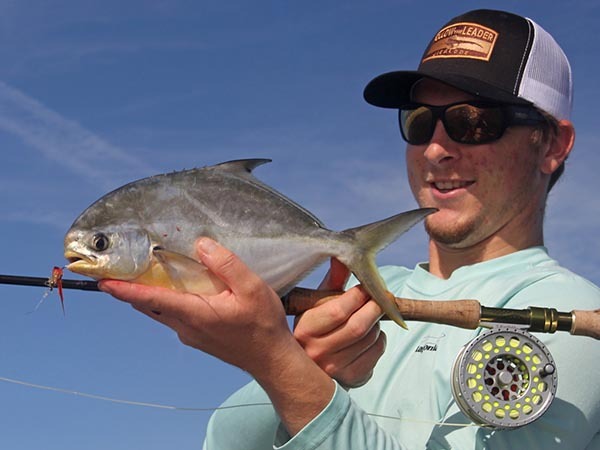 During the fall and winter, Pompano are popular target species in the surf for light tackle anglers and fly fisherman. They are known for their fast runs and despite their smaller size they are quite strong and spirited fishing fish.